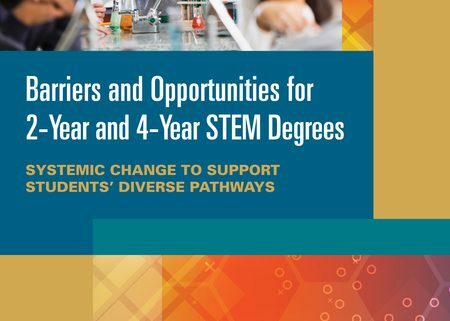 The National Academies has released Barriers and Opportunities for 2-Year and 4-Year STEM Degrees. 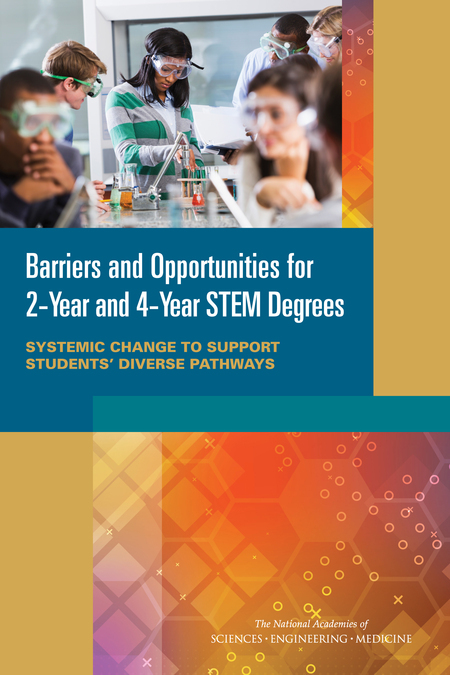 This report reviews research on the roles that people, processes, and institutions play in 2-and 4-year STEM degree production. This study pays special attention to the factors that influence students’ decisions to enter, stay in, or leave STEM majors—quality of instruction, grading policies, course sequences, undergraduate learning environments, student supports, co-curricular activities, students’ general academic preparedness and competence in science, family background, and governmental and institutional policies that affect STEM educational pathways. 2016 NSF STEM Video Showcase: Advancing STEM Learning for All What Makes a Good Teacher?